From Gotham Writers' Workshop Inc. comes some of George Orwell's writing tips from his essay Politics and the English Language. I love these! I have to remind myself sometimes that short & sweet is the way to go. Excellent list here...thanks!...and Happy SITS Day. 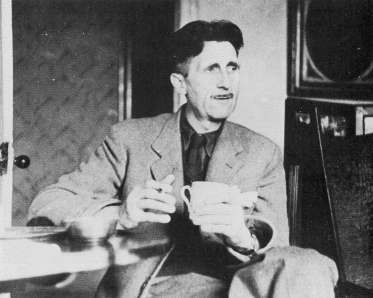 Orwell thinks that if you just say what you mean, you'll get your message across better. Thanks for reading.